Mike Salway captured this view of Jupiter on April 10 shortly after a double transit of Jupiter by Io and Callisto. 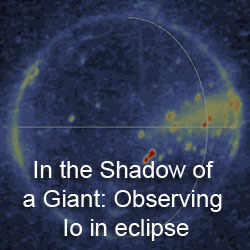 Sadegh Ghomizadeh took this image of Jupiter and Io on April 14. 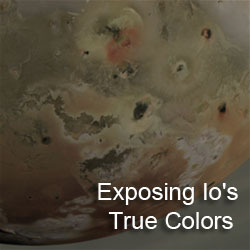 Not sure why Io shows up so red. A filter issue perhaps?